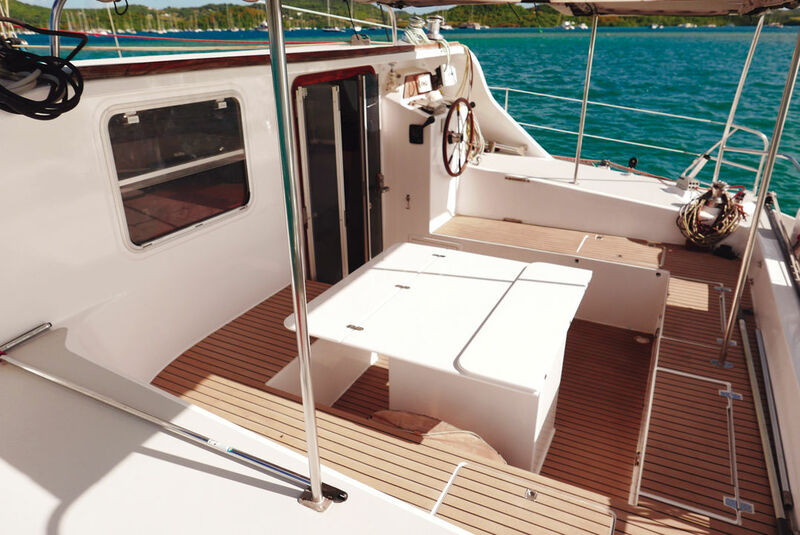 From a basic overhaul to a full rebuild, a refit will involve different levels of work depending on the condition of your boat, your ambitions, and also your budget. You can consider renovating your multihull yourself or with the help of a boatyard – it all depends upon your skill level. What’s the best way to do it? How much will it cost?... In this article you will discover all the secrets of the refit. There are lots of reasons why you might set about doing a refit, and you may well recognize yourself in one of the following situations. Are you the owner of a multihull which has been out of the water for a while and you have neglected its maintenance to some extent, but you would like to enjoy it again? If so, a safety upgrade is required to restore the boat to seaworthy condition. Second scenario: you are planning a long trip, and a technical overhaul is crucial to meet the requirements of an Atlantic crossing, or maybe further. Another possibility is that your multihull has suffered damage: repairs are necessary. This may give you the opportunity when repairs are underway, to make improvements while parts of the boat are being dismantled and the boat immobilized. Perhaps less frequently: you want to sell your multihull, and a cosmetic preparation is necessary to present your boat in a better light. This case is the rarest because "it is rather the buyer, eager to appropriate, who will most often embark on renovation work", says Sidonie Humberlant from Grand Large Yachting. Here again, several scenarios are possible. In fact, whether before or after a purchase, it is the age and condition of the boat in relation to your abilities and financial means as well as your sailing objectives that will prescribe the refit. The relative cost of the refit will always be linked to your sailing program and your performance/comfort cursor. What exactly is a refit?